This unique signature massage is a combination of tantric, bioenergetic, thai massage techniques and bodyworks. Intimate, skin to skin, performed using various body parts and in constant energetic flow. Deeply therapeutic, healing and very pleasant. Helps to connect with your inner self. Always performed with full respect to boundaries and your comfort zone. Duration: 2h, price: 90 EUR. Very deep, muscle and fascia massage of the back: from sacrum up to neck, including shoulders and hands. Using an unique approach of applying also the body weight to deepen the massage. It will help you to release physical and emotional tension. Duration: 60 min at price: 60 EUR. Deeply relaxing massage of the upper body parts: neck, back of the head and face, ending with an orgasmistic massage of the ears. Targeting both muscles and facia. Deep, focusing on major energetic points located in this area of the body. Duration: 30 min at price: 25 EUR, or, duration: 50 min at price: 40 EUR. Healing and energizing ritual based on five elements: Earth, Water, Fire, Air and Space. Affecting energetic body more than physical. Performed using hands and forearms and accompanied with music of healing frequency 432 Hz. Duration: 50 min, price: 40 EUR. Massage of gentle bioenergetics according to Dr. Eva Reich’s method. Gentle technique which works through a soft and delicate touch, melting away tension in the whole body, relieves symptoms of stress, improves overall health and dissolves hidden traumas. Duration: 15 min, price: 15 EUR. "Agni Massage took me to other states of pleasure and relaxation. Although small in size Agni has strength to go deep into tensed muscles giving relief of stress and pain. Surprising body to body strokes gave me additional sensory stimulae. Agni's presence and tender care made me feel safe to open up." Beata: "In the arms of the Angel... If you need head & heart reset - I can only recommend Agni Way massage. This almost 3 hour "trip to heaven" was the most relaxing massage I ever had! It was pure physical and mental pleasure. A true reset of my body & mind. Agni was so soft and delicate but somehow she managed to release my tight muscles. Stress, anxiety and fatigue just disappeared. She made me feel fantastic. Agni you're an Angel! I definitely must repeat it!" Martyna: "Agni and her massages are amazing! Extremely relaxing and calming. Highly recommended!" 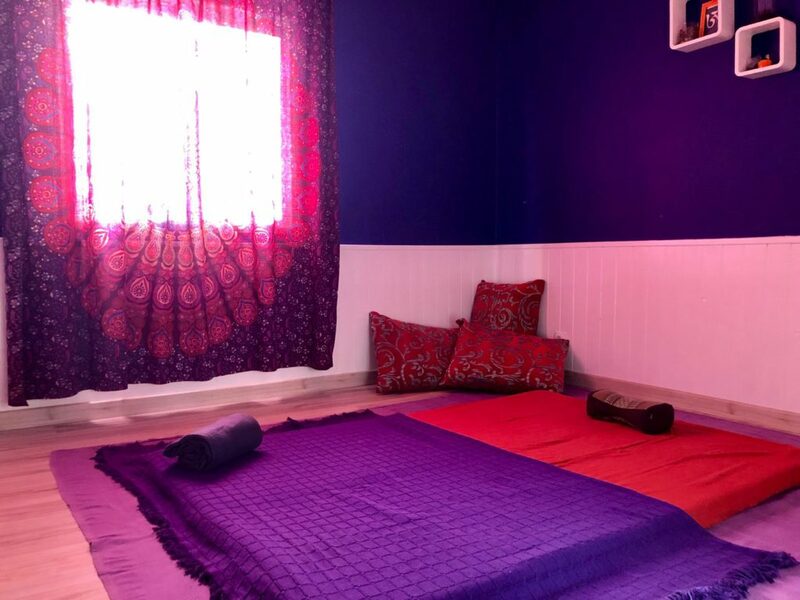 All massages take place in my yoga shala in Lagos (Algarve).